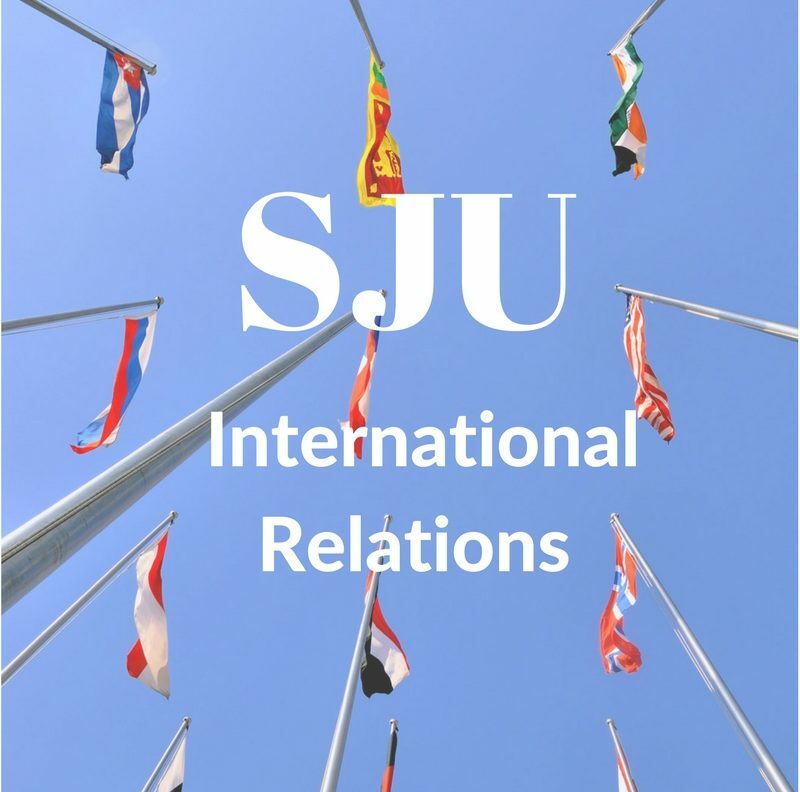 This past June, I joined a delegation of Saint Joseph’s faculty and students to attend the Jesuit Universities Humanitarian Action Network (JUHAN) conference hosted by the College of the Holy Cross. Our delegation was comprised of two rising seniors, myself and Emma Pachon; two recent graduates, Emily Meehan and Kevin Trimmer; and three faculty members, including the IR program’s own, Dr. Gioioso. Although I anticipated my participation in this conference to be limited to my presentation on my Summer Scholars project, the three days spent in Worcester, MA quickly evolved into a much more impactful experience. JUHAN was created using the Jesuit ideology and values to create a greater awareness on Jesuit university campuses for humanitarian action, and their leadership conference is held biennially. This past summer’s theme was “Principles in Crisis: Refugees and Responsibility,” with an obvious heavy focus on past, current, and potential humanitarian movements in response to the refugee crisis and movements of mass migration. We had the privilege of listening to three keynote speakers, including prominent Jesuit scholar David Hollenbach, S.J., along with a number of expert panelists. In the end, my very own presentation on my research pertaining to my Summer Scholars project was the least significant memory of the conference. Some speakers, for example, were truly captivating in reciting their personal experiences. One, Dr. Haytham Kaafarani, spoke about his experiences serving with Médecins Sans Frontières (Doctors without Borders) in Central Africa, while a second, Dr. Mark Potter, described the efforts of the Kino Border Initiative in creating solidarity across the U.S.-Mexico border. The latter talk was so moving, that I’ve actually since considered pursuing a career related to immigration services or immigration law! I’m extremely grateful, as I’m sure the rest of our delegation is, to have been able to hear each of the speakers. The most fascinating part of the week, however, might have been the very last segment of the conference, which was our community partner visits. The agency that we visited was the Hadwen Park LGBT Asylum Support Task Force, who openly and intentionally welcome asylum seekers who are specifically members of the LGBT community. It was truly an experience like no other, hearing firsthand the difficult stories of asylees leaving their home countries, but also the joyful stories of affirmation through the congregation of the church in Worcester. Leaving the JUHAN conference, I think I can speak for our whole delegation in saying that it was and is a fantastic opportunity to share stories of and ideas for taking concrete action in response to the world’s crises, and the three days in Massachusetts turned out to be a pretty educative part of the summer.